Unbelievably, the stashing of huge amounts of cash in bathrooms, curtains, socks, plant pots, hidden house recesses and holes in the garden is surprisingly common since the bank crash, says Seamus Fahy, one of whose clients is this week heading to see the hypnotist. Today, Mr Fahy is making a stash of his own by taking charge of valuables for those who have previously been stung storing their valuables at home. 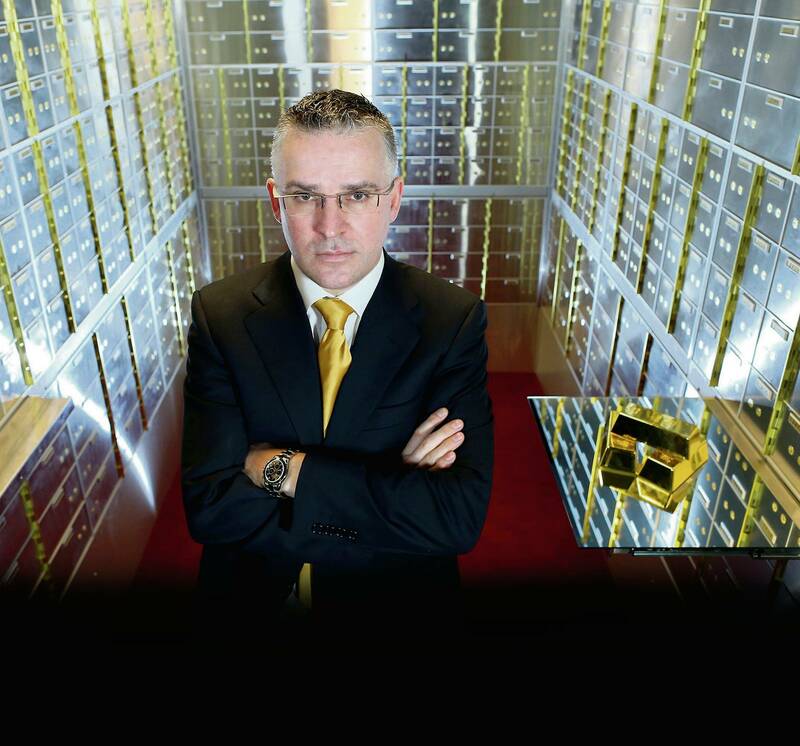 The owner of Voltaire Diamonds opened Ireland’s largest private security vaults in Merrion Square in Dublin city centre last year after experiencing his own safe storage issues for his business’s priceless stock. He installed a 3,000sq ft secure vault to Lloyds security standards at Merrion Square, which is also insured by the London firm. Since opening last year he has seen enquiries triple on the back of a perfect storm of treasure storage panic. From a cold start 10 months ago he now has more than a thousand storage clients. There are four main reasons behind his success – first, banks have been closing their deposit box facilities, traditionally the safe haven for stashed loot; second, the result has been a surge in the cost of insuring fine art and valuables which must now be kept in the home; third, the amount of “portable” assets being held has hiked up thanks to a general mistrust of banks, government and extra low interest rates, and finally, there has been a surge in the organisation of crime to target domestic hidey hole stashes along with a vast increase in competence among the criminals involved.